Internationally and across multiple verticals, Riversand makes data management simple and successful for their clients. Houston, November 09, 2016 — Riversand lends its innovation and experience to multiple industries, providing diverse and international clients with robust and scalable master data management (MDM) platform. “Our focus at Riversand along with our partners is to provide our customers a convergence of MDM best practices, deep industry knowledge and best-in-breed product solution. 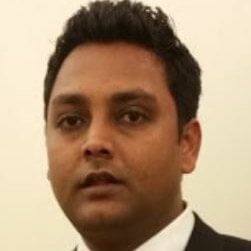 Riversand has global MDM customer success stories across multiple verticals and geographies spanning all major continents,” highlights Ninad Raikar, VP Global Professional Services. In fast paced environments like e-retailing, customers expect fast and right information to be available to them at real time. An online retail client approached Riversand for a solution as their current legacy system failed to meet the need of the hour. Riversand’s MDM solution (MDMCenter) reduced the time-to market for new products by streamlining governance and communication process. All the players in the supply chain received the same information from the MDMCenter thereby ruling out any scope for error. Contextual marketing benefitted as data that was displayed was specific to a geography with the “Locale” option. Procurement costs increase with inconsistent and duplicate vendor data. Riversand’s Healthcare client chose to implement Riversand’s MDMCenter along with Data Quality Management (DQM) solution to address this challenge. Client’s data quality and reporting improved as MDMCenter became the single entry point for supplier records. Riversand’s built in match and merge solution identified and consolidated conflicting supplier records, thereby improving reliability of spend analytics. Additionally, with Riversand’s comprehensive data governance policies, supplier master data was consistently formatted and stored as it entered the system. A Hi-Tech client had challenges with its customer master data. Broadly, no single version of truth was available and specifically, no data standardization such as names and addresses, was available. Riversand’s MDMCenter provided the single source of truth for integrated, end-to-end customer data management, analysis, and governance. Riversand also implemented address standardization, so customers benefited from complete and accurate marketing information.